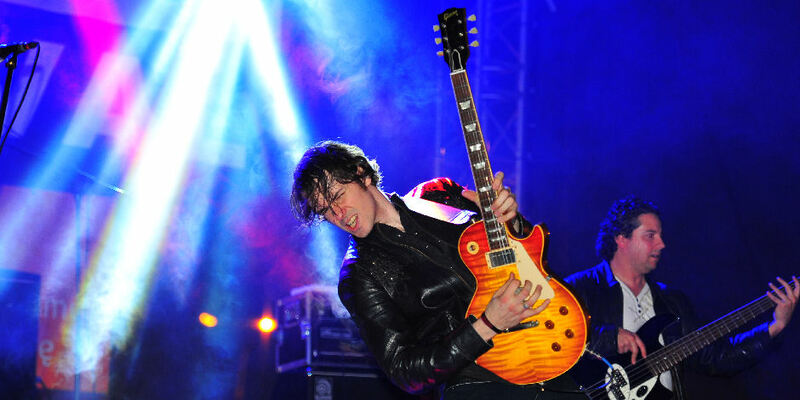 Ryan McGarvey is a star on the rise. In just the past few years his accolades have included being selected by Eric Clapton from over 4,000+ artists worldwide to perform at his 2010 Crossroads Guitar Festival in Chicago, to the Guitar Player Magazine’s Annual Readers Choice Award for “Best New Talent” in 2013. He has also been recently voted Best Guitarist, in the European Blues Awards 2014. Ryan is constantly on tour internationally, and records whenever time permits. His incendiary, yet dynamic guitar playing leaves crowds around the world marvelling, and wanting more. With strong songs, award winning vocals, fierce guitar playing, an unstoppable work ethic, and an undying love for the blues flavoured hard rock he pours from his soul, Ryan has been compared to the best in the business. Ryan McGarvey, though already a seasoned professional, has a bright future ahead of him that has only just begun. Catch him when you can!